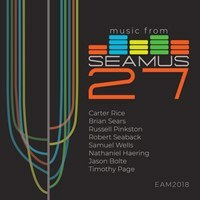 SEAMUS, which stands for the Society for Electro-Acoustic Music in the United States, is a non-profit national organization of composers, performers and teachers of electro-acoustic music. Electro-acoustic music is a term used to describe those musics that are dependent on electronic technology for their creation and/or performance. SEAMUS strives to address not only relevant technology but also the non-technical issues of aesthetics, collaboration, education and ethical/social issues pertinent to the electro-acoustic music community. Through its journal, newsletter, recordings, and national conferences, SEAMUS seeks to increase communication among the diverse constituency of this relatively new musical medium. SEAMUS continues here its series of releasing new compilations of works by its electroacoustic composer members alongside back catalogue recordings. 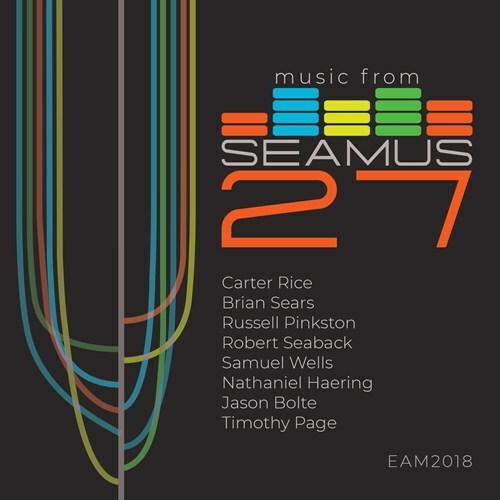 Volume 27 features works by Carter Rice, Brian Sears, Russell Pinkston, Robert Seaback, Samuel Wells, Nathaniel Haering, Jason Bolte, and Timothy Page. If you like Music from SEAMUS, Vol. 27, please tell your friends! You can easily share this page directly on Facebook, Twitter and via e-mail below.